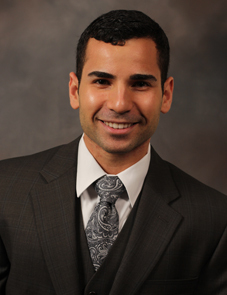 Yuri Eliezer is a member of Merchant & Gould’s electronics and computer law practice group in Atlanta. He primarily practices patent prosecution with specialization in the electrical, computer (hardware and software), telecommunications, and mechanical fields. He is currently studying law as a part-time evening student at the Georgia State University College of Law. As a Digital Design laboratory instructor for the Georgia Institute of Technology, Mr. Eliezer directed, supervised, and assisted students in the design and realization of analog and digital circuitry. Mr. Eliezer now consults venture companies in micro-embedded controller programming and design, as well as intellectual property protection for the ventures. He also works closely with the American-Israel Chamber of Commerce, helping bring high-tech U.S. ventures to Israeli markets, as well as high-tech Israeli ventures to the U.S. market. In addition to studying law, Mr. Eliezer continues to further his scientific understanding through the continual study of electromagnetism and various realms of modern physics.